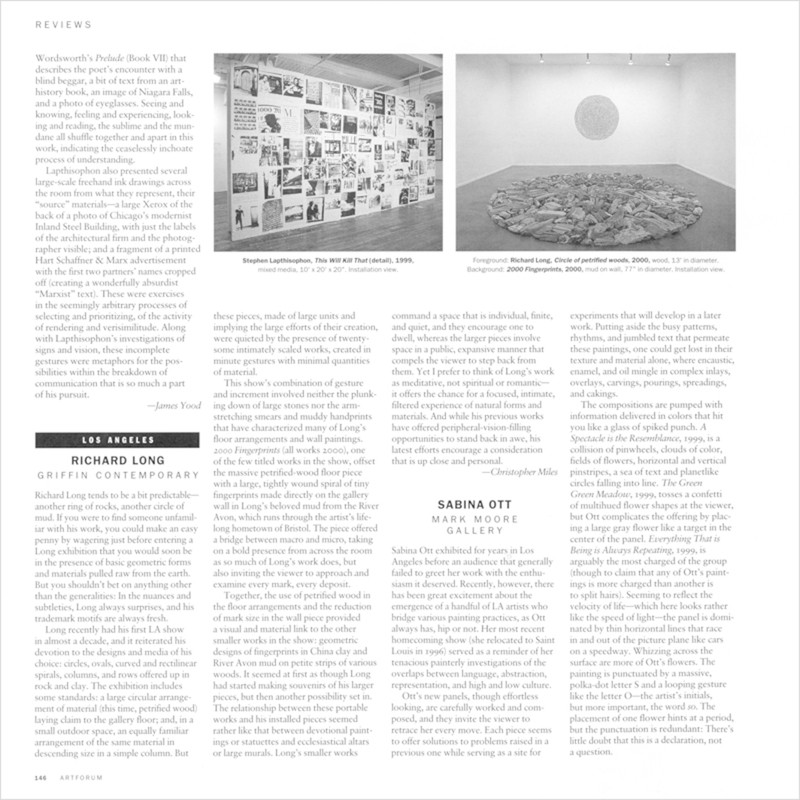 Richard Long tends to be a bit predictable— another ring of rocks, another circle of mud. If you were to find someone unfamiliar with his work, you could make an easy penny by wagering just before entering a Long exhibition that you would soon be in the presence of basic geometric forms and materials pulled raw from the earth. But you shouldn’t bet on anything other than the generalities: In the nuances and subtleties, Long always surprises, and his trademark motifs are always fresh.